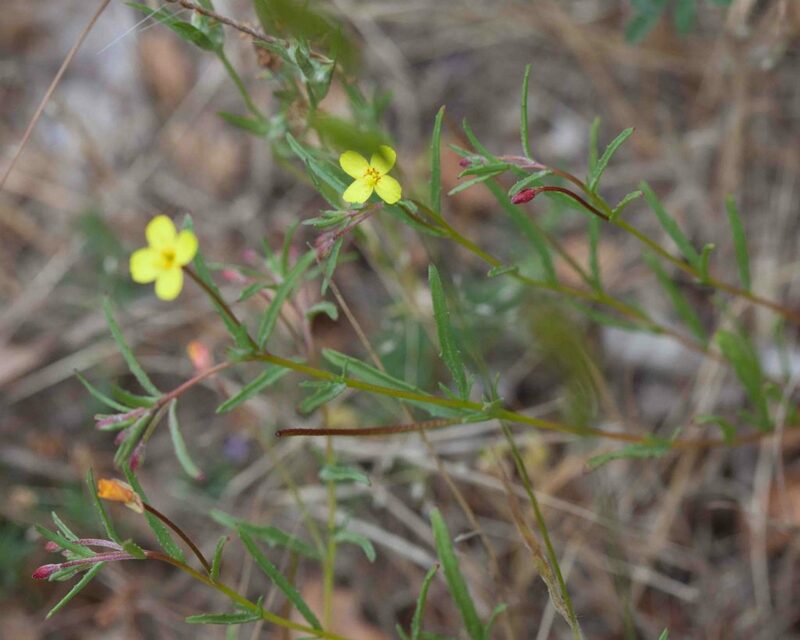 This group includes two genera, Camissonia and Camissoniopsis which used to be treated as one genus but have now been separated. 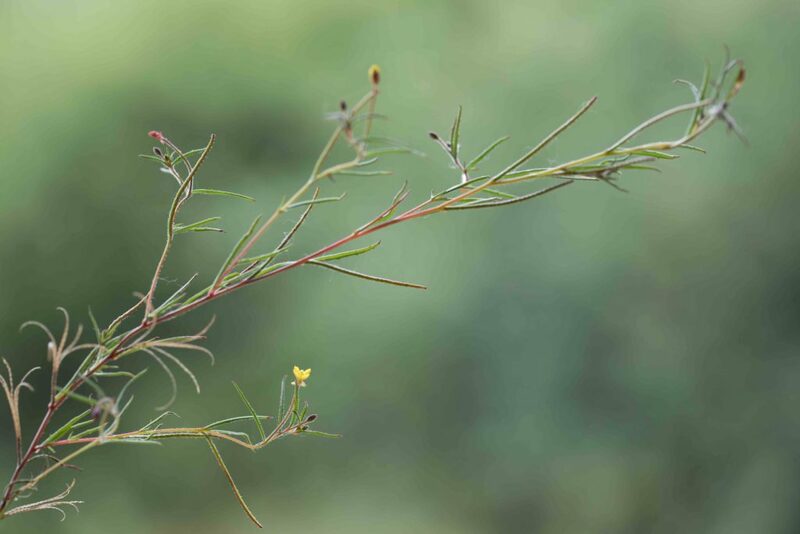 There are three differences between them; Camissonia has more or less straight fruits, cauline leaves only and its flowers are on the uppermost nodes, Camissoniopsis generally has coiled fruits, basal and cauline leaves and its flowers borne on nodes along the whole stem. 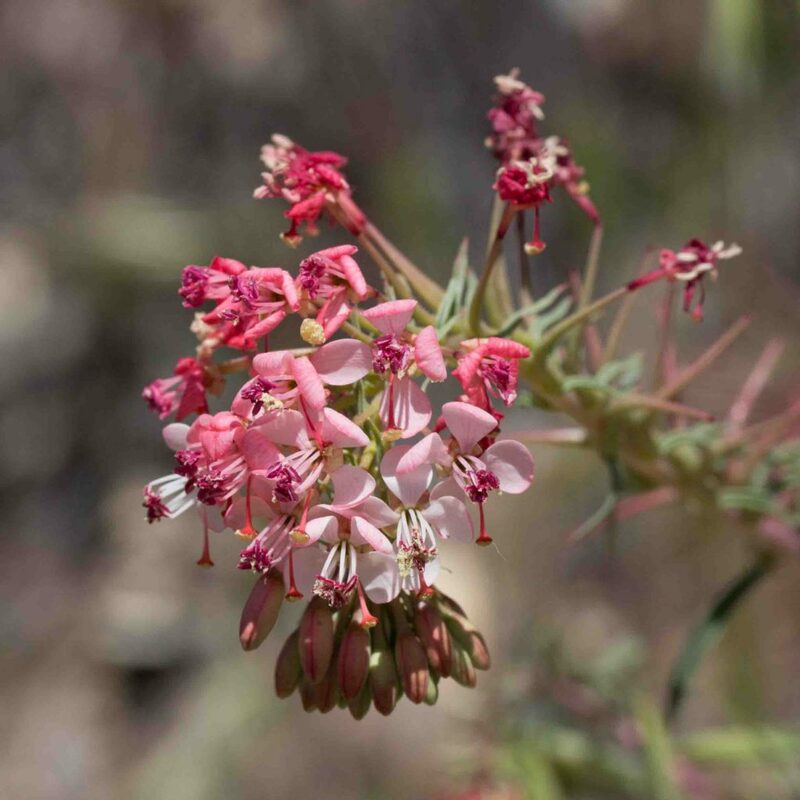 Individual members of these two families can be extremely hard to distinguish; careful attention must be paid to the types of hairs, presence or absence of glands and the presence or otherwise of small red spots at the base of the petals. 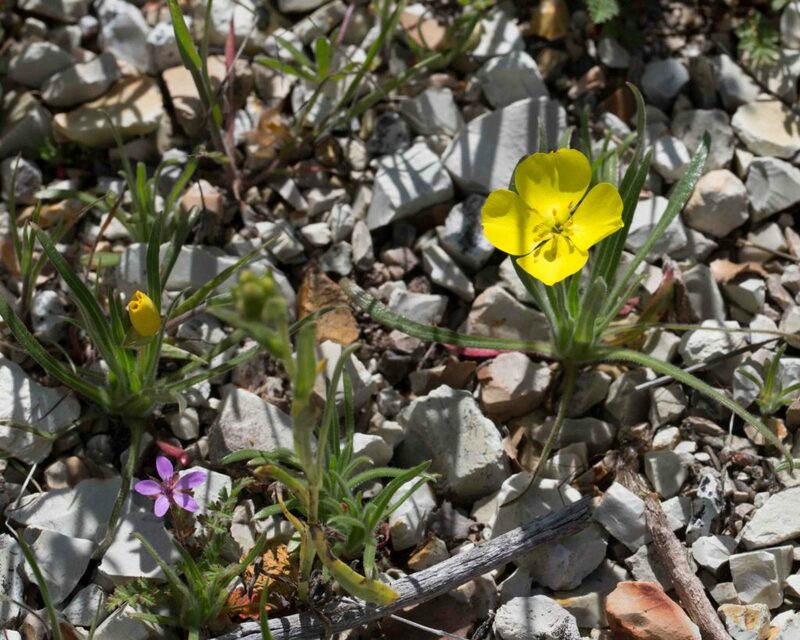 All members of this family have 4-petaled flowers, no more, no less. 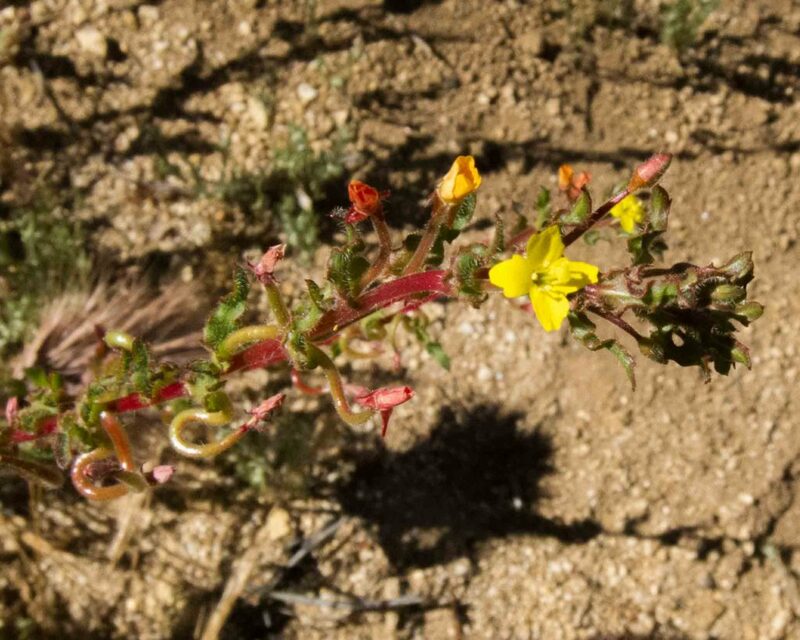 Despite its name, this suncup (like other Camissonia) are straight to wavy, not contorted. 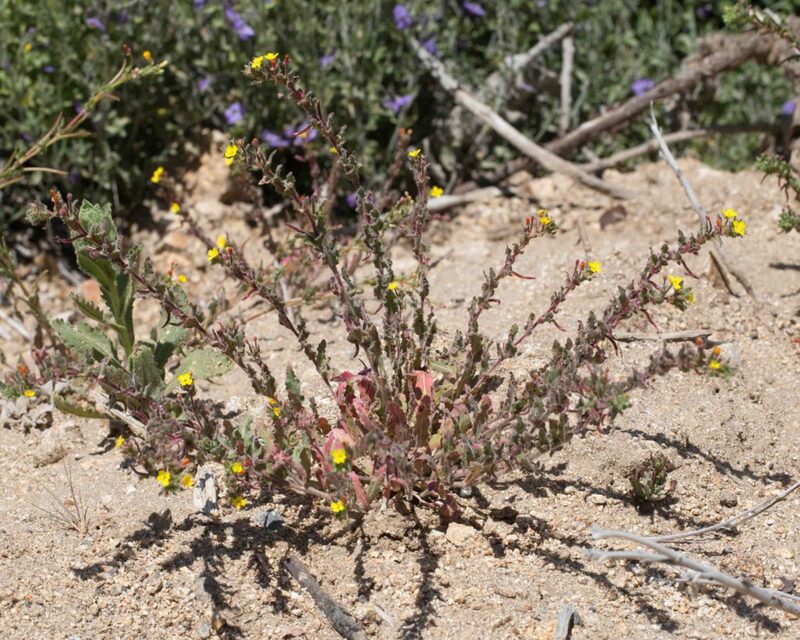 It is very similar to Sandysoil Suncup (Camissonia strigulosa) but can be distinguished by its blue-green leaves and by the hairs on its stem which are spreading rather than appressed. 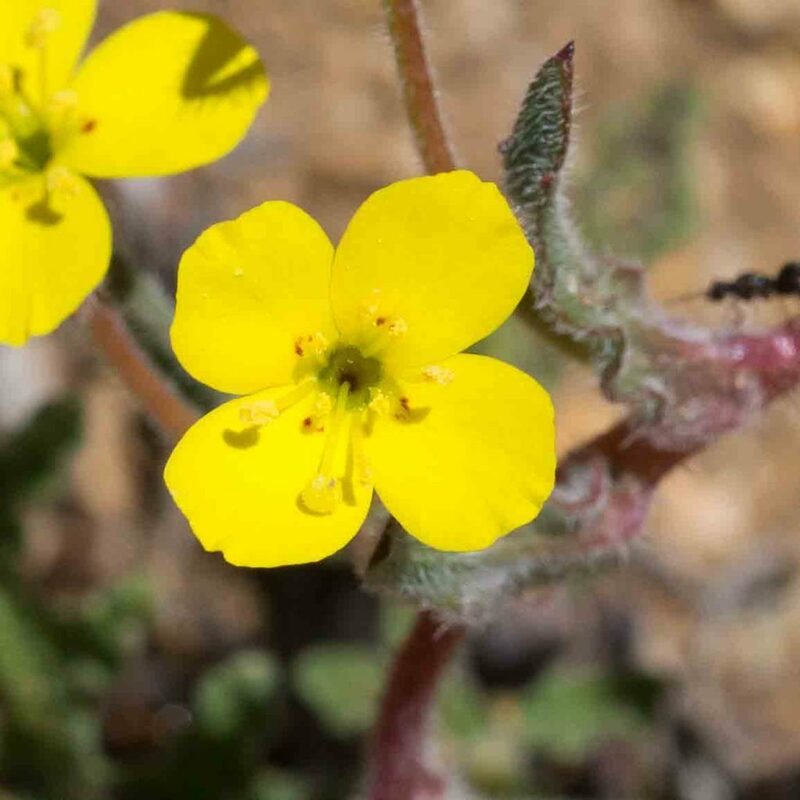 The small bright yellow flowers with tiny red dots at the base of the petals are similar in appearance (if not size) to the other suncups and the way in which the sepals are folded back from the petals is also characteristic of this family. 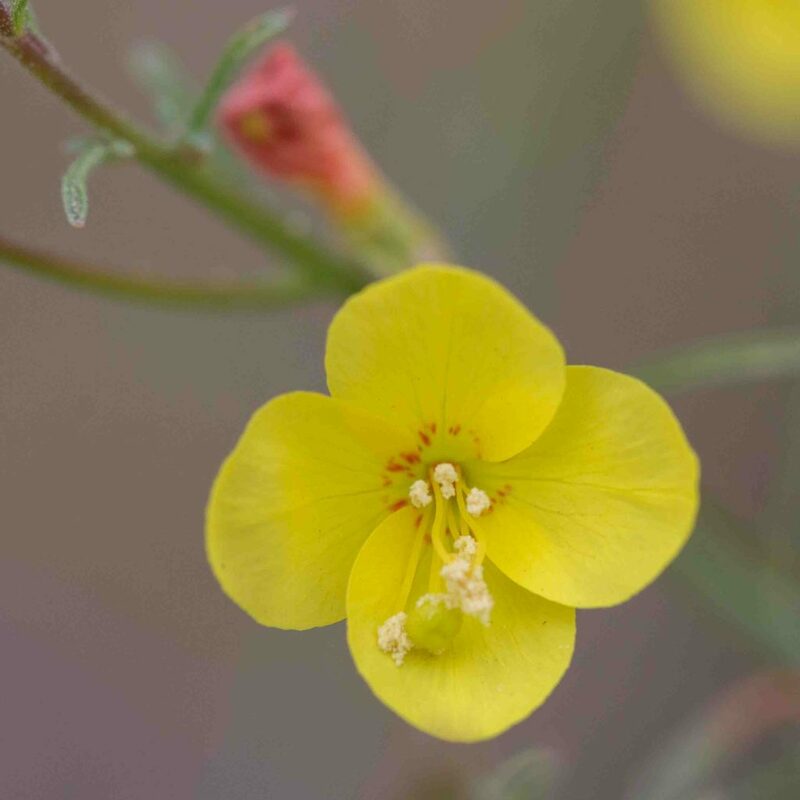 This is very similar to Contorted Suncup (Camissonia contorta) but a little taller. 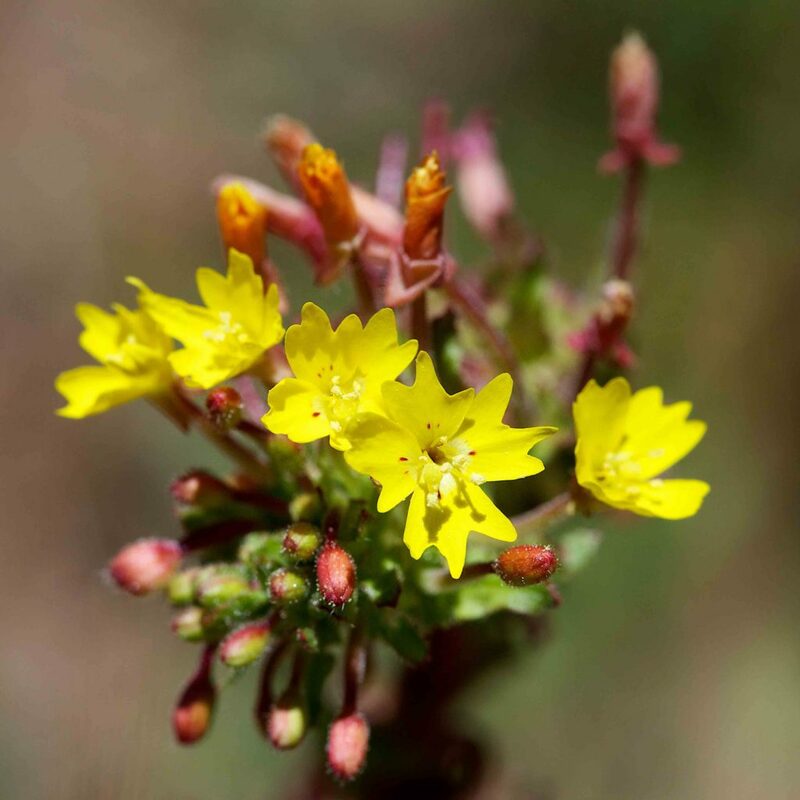 It can be distinguished by its green (rather than blue-green) leaves and by the hairs on its stem which are short and appressed rather than spreading. 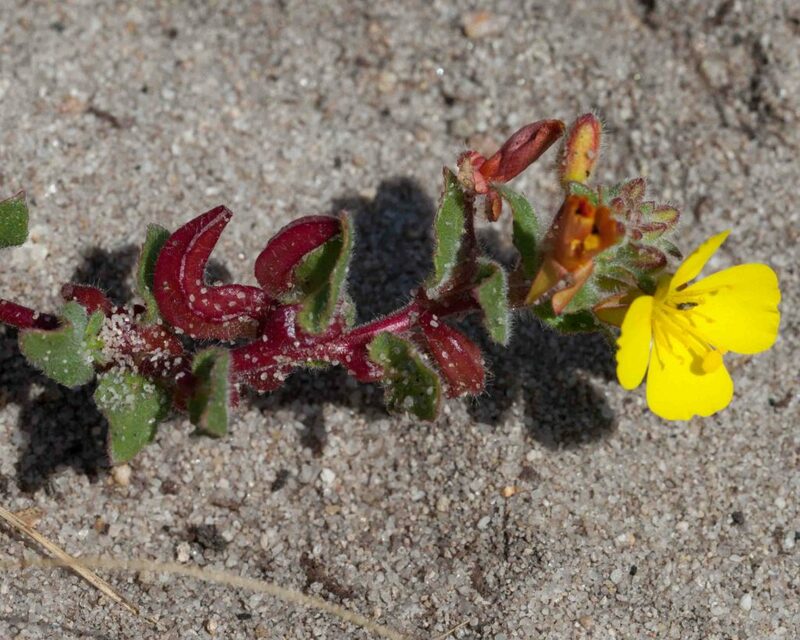 This plant is found on or near coastal sand dunes. 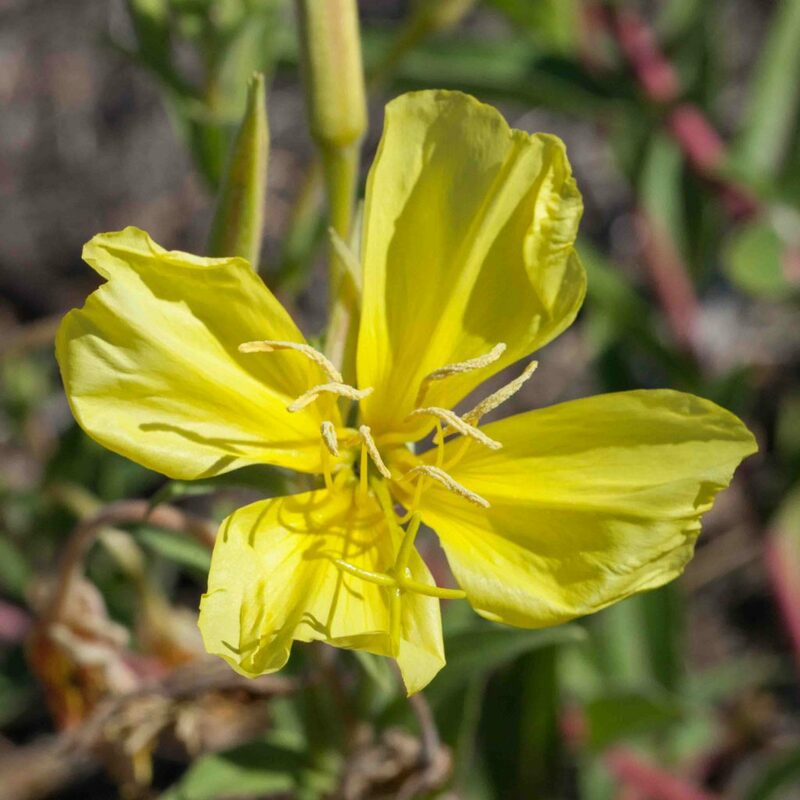 Its flowers are similar to those of the Camissonia, but somewhat larger, 2–4 cm across and found at the tips of the stems. 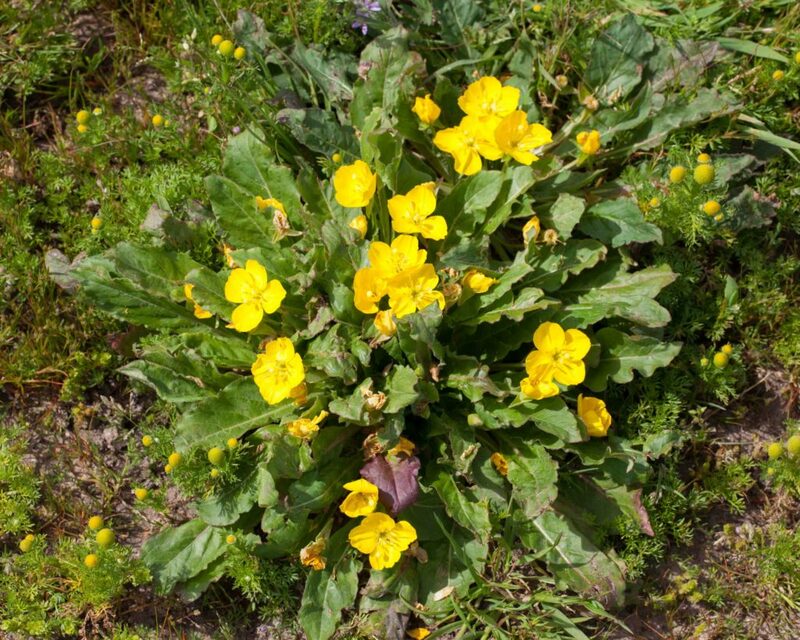 Leaves are narrowly ovate to obovate and hairy. 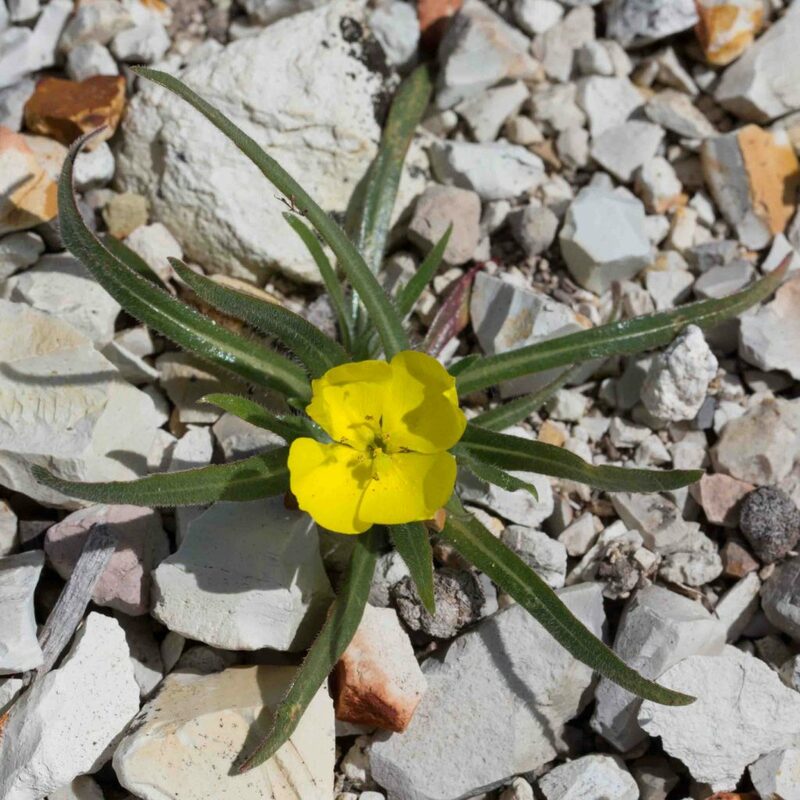 There is usually a basal rosette of leaves. 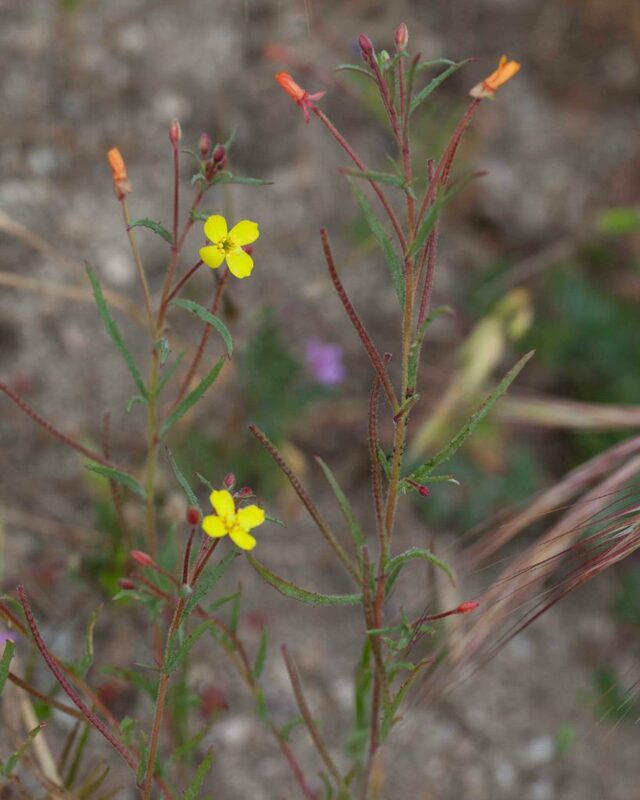 Stems are creeping, leafy and reddish in color. 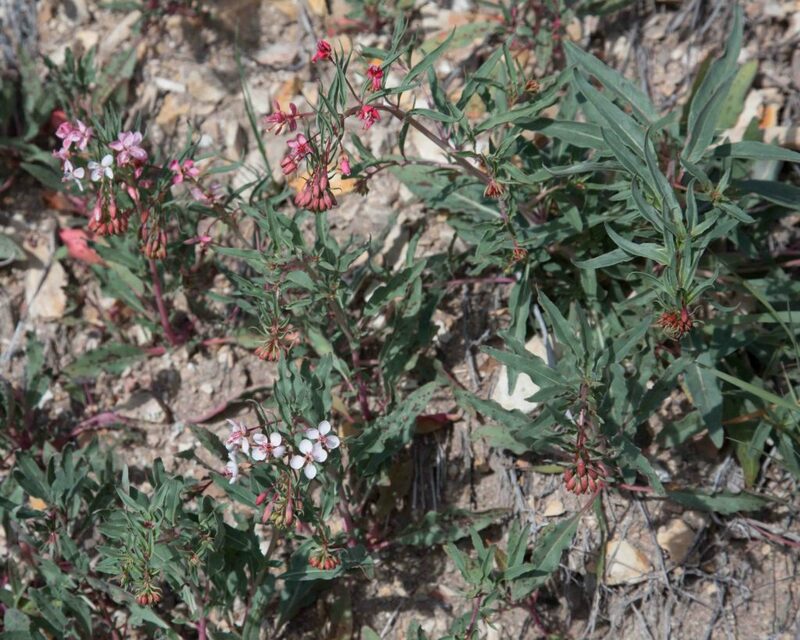 Fruits are also reddish and noticeably 4-angled. 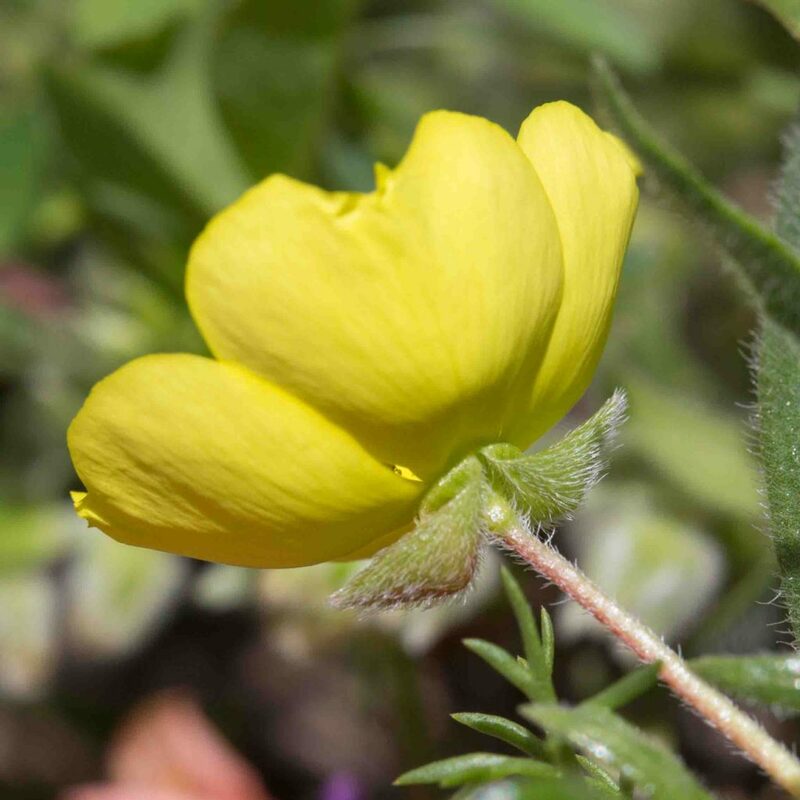 This belongs to a group of small-flowered suncups that can be challenging to distinguish. 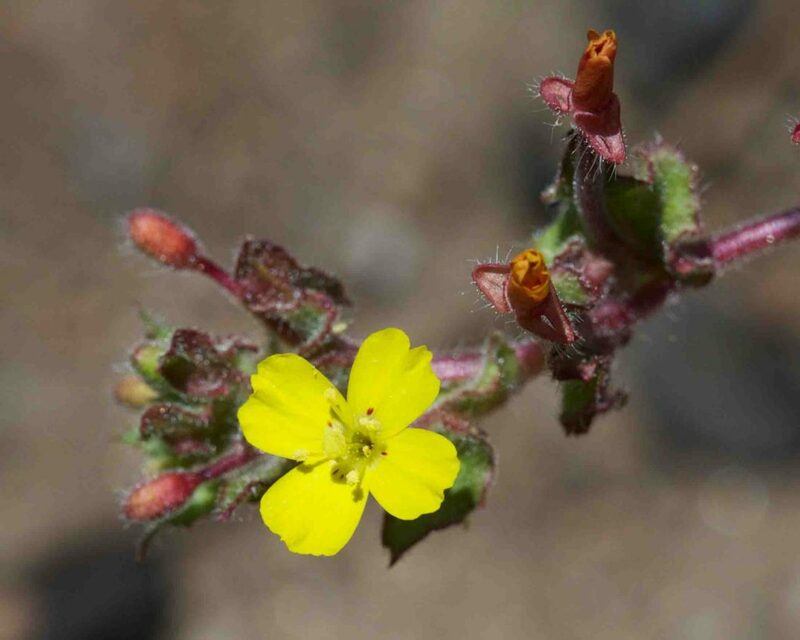 Its flowers have 1 or 2 red spots at the base of the petals (unlike Hairy Suncup (Camissoniopsis hirtella)) and the hairs of the inflorescence are glandular (unlike Miniature Suncup (Camissoniopsis micrantha)). 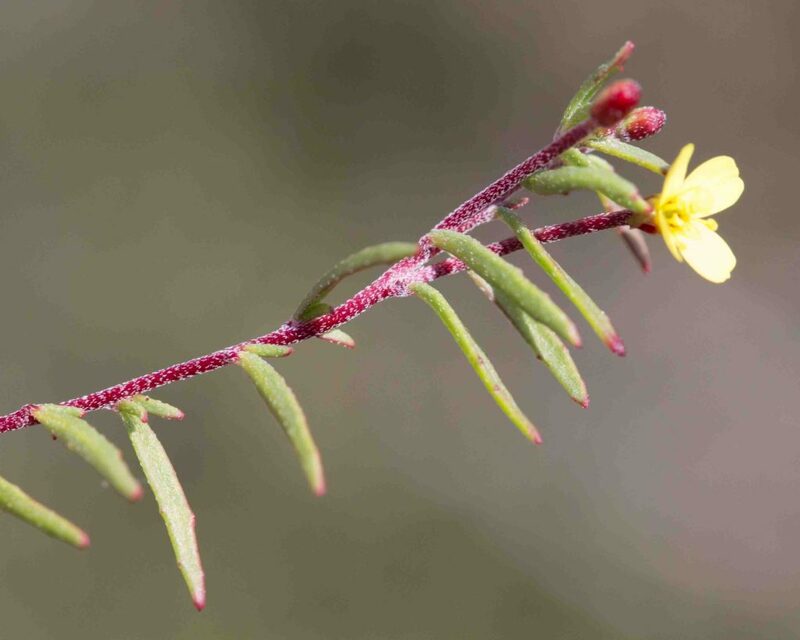 Its fruits are 1–2 mm wide and straight to 1-coiled. 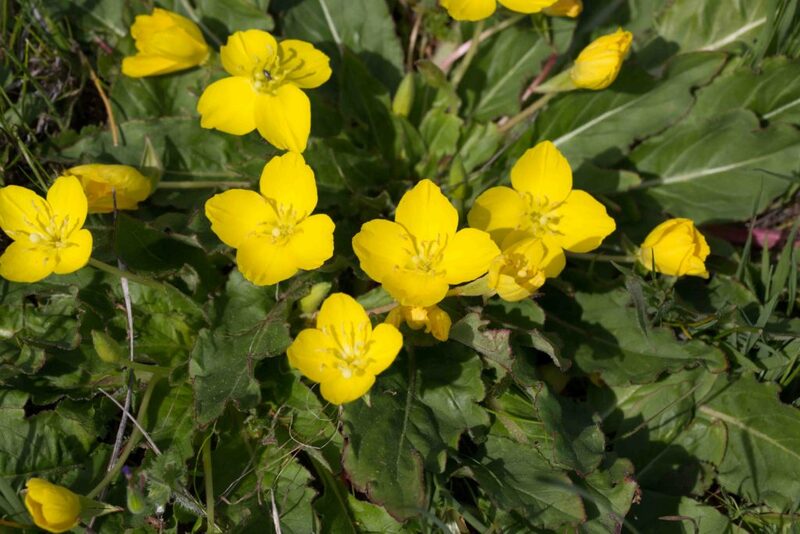 This also belongs to a group of small-flowered suncups that can be challenging to distinguish. 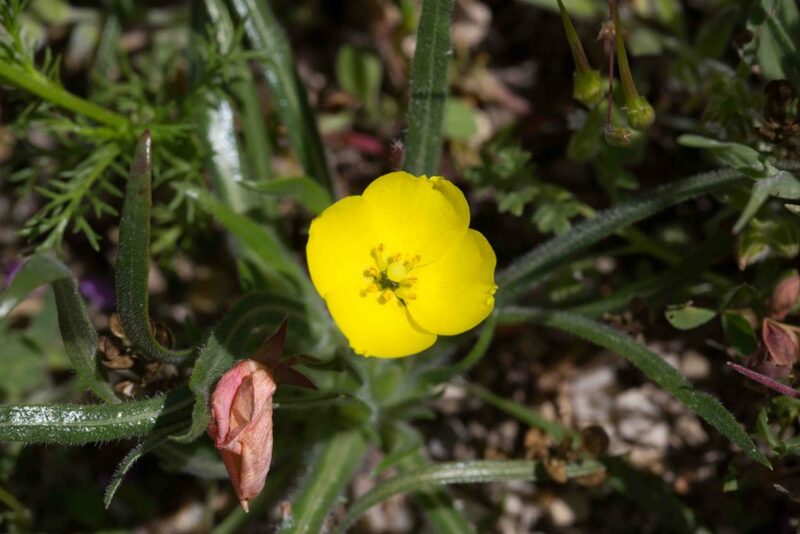 Its flowers have 1 or 2 red spots at the base of the petals (though these seem not always to be present) and the hairs of the inflorescence are not glandular (unlike Intermediate Suncup (Camissoniopsis intermedia)). 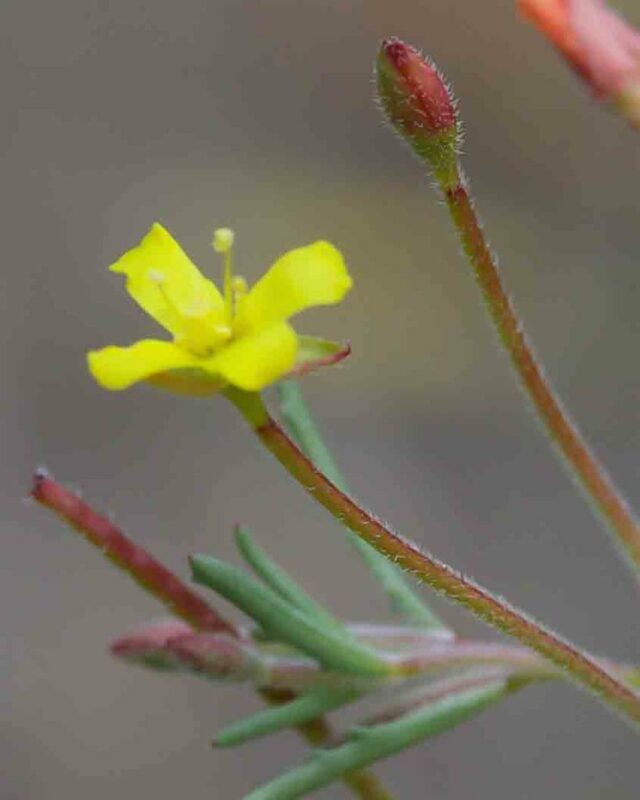 The plant is generally densely spreading-hairy. 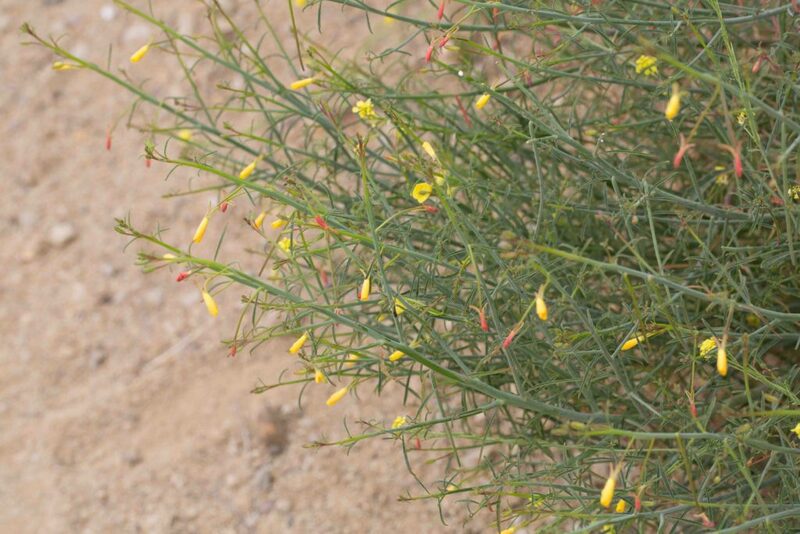 Its fruits are about 1–2 mm wide and straight to 1-coiled. 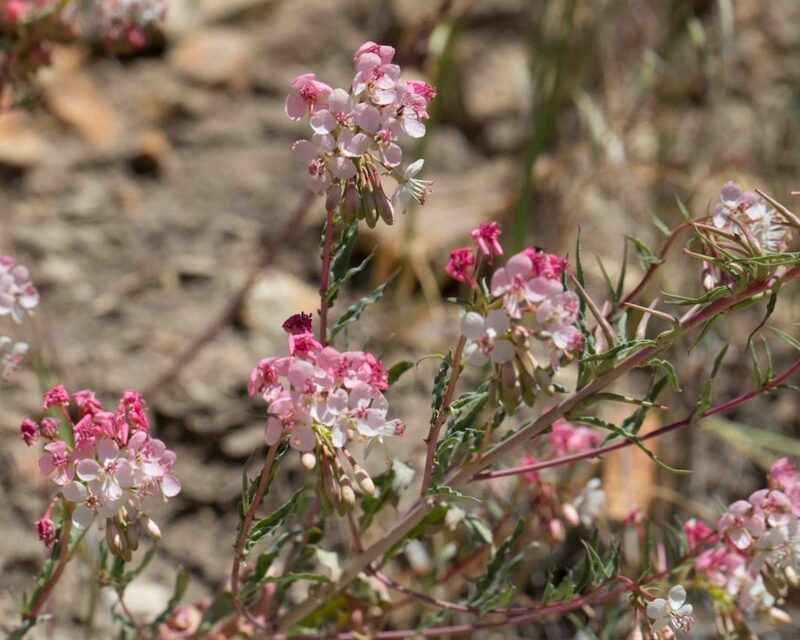 The pink and white coloring of the flowers of this primrose are unusual. 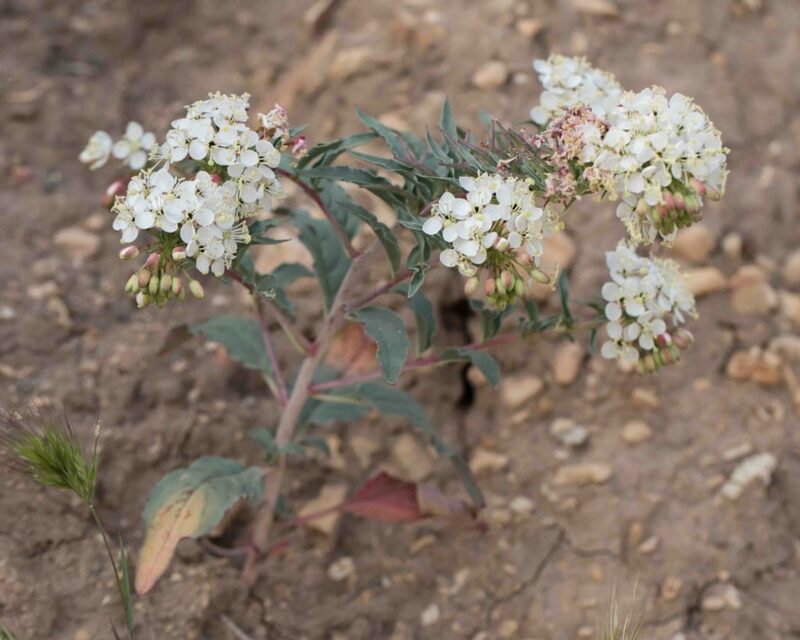 The flowers are borne in clusters at the tips of slender, branching peduncles, Leaves are green or red-tinged, lanceolate to narrowly ovate. 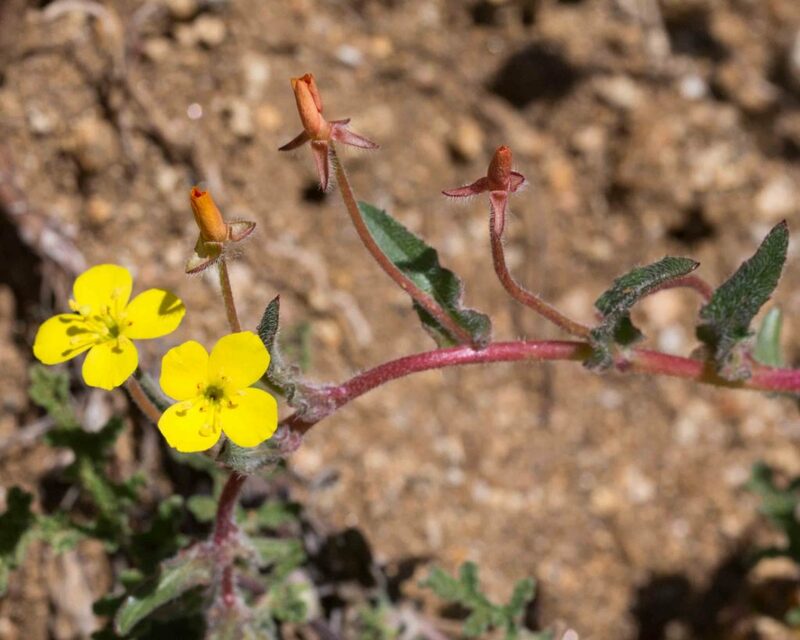 Found only in the far east and south of Monterey County, though much more common further south in the state. 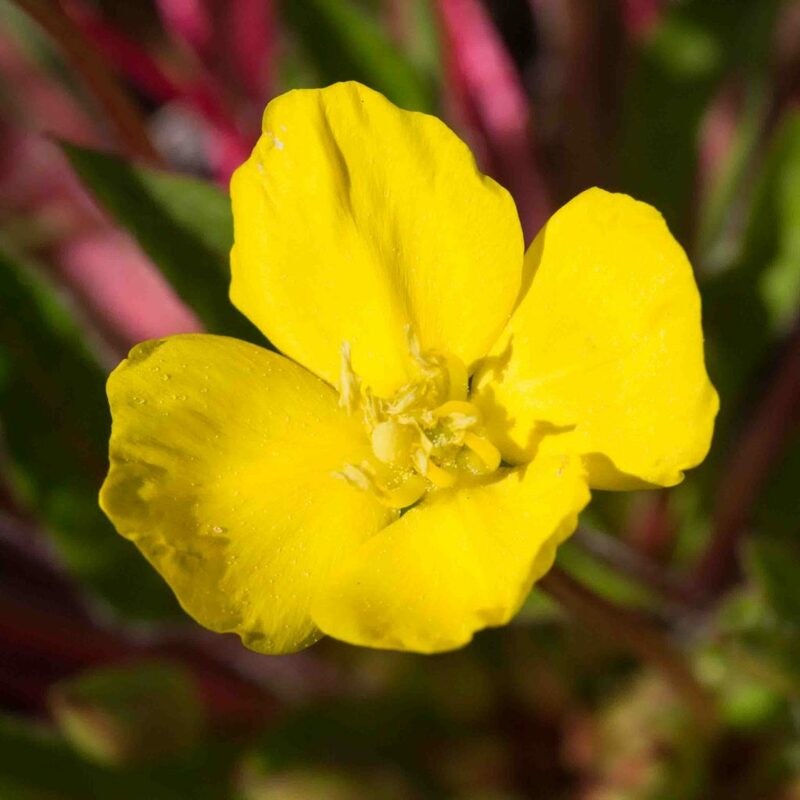 The 1–2.5 cm flowers with their swept-back sepals are immediately recognizable as belonging to the Evening-primrose family. 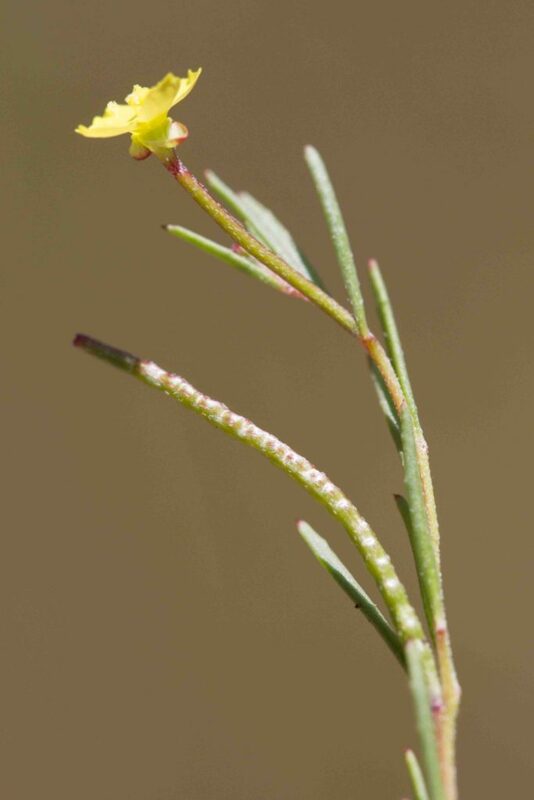 They are born on slender wand-like stems. 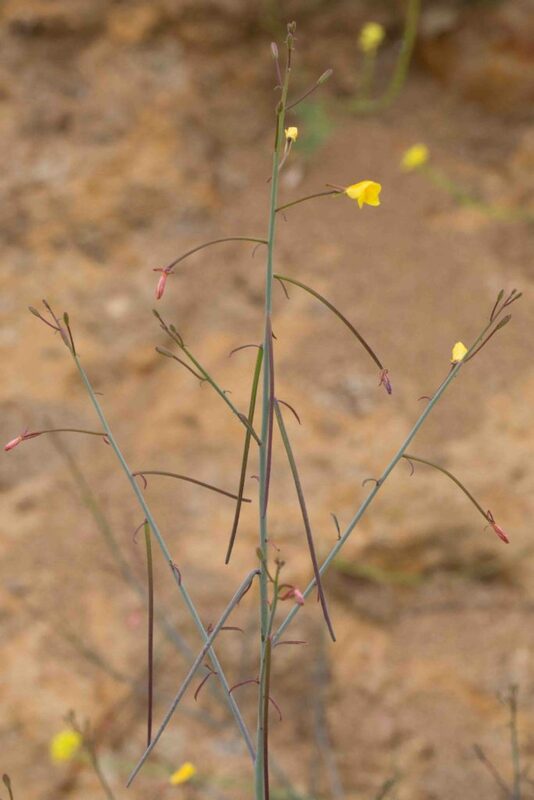 The long (45–110 cm), slender fruits are reflexed like those of certain mustards, hence the plant’s common name. 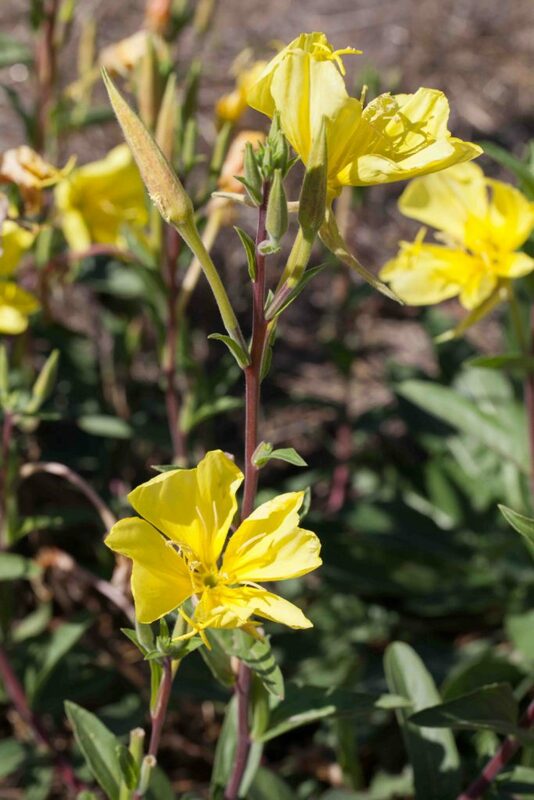 A classic evening-primrose with large, bright yellow flowers, strongly reflexed sepals and long, more or less pointed buds. 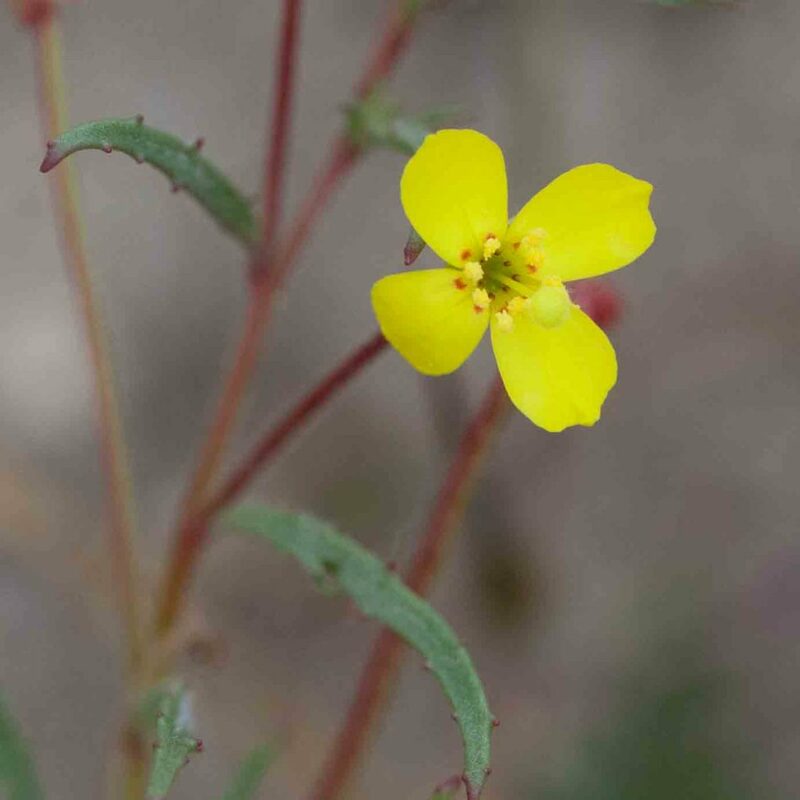 Stems are conspicuously leafy. 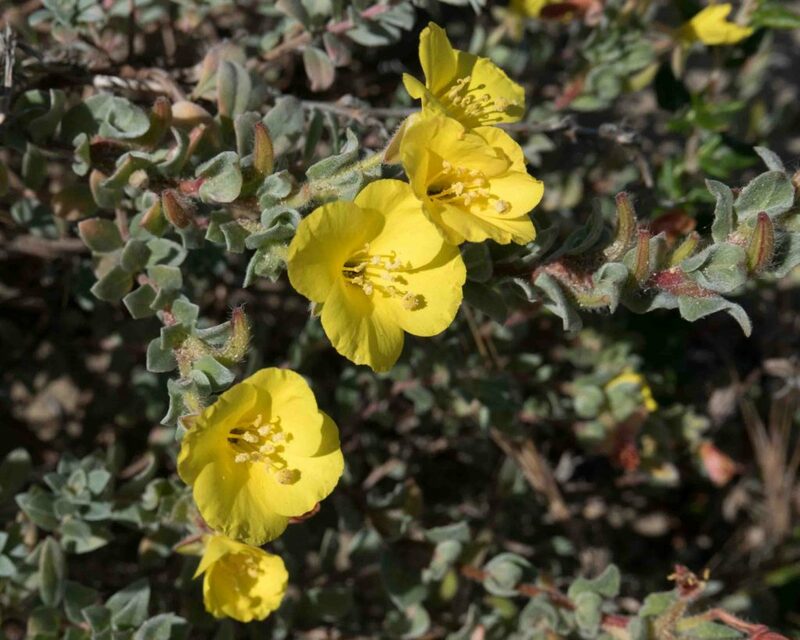 Flowers open in late afternoon and bloom until the following morning after which they wilt and turn orange to reddish. 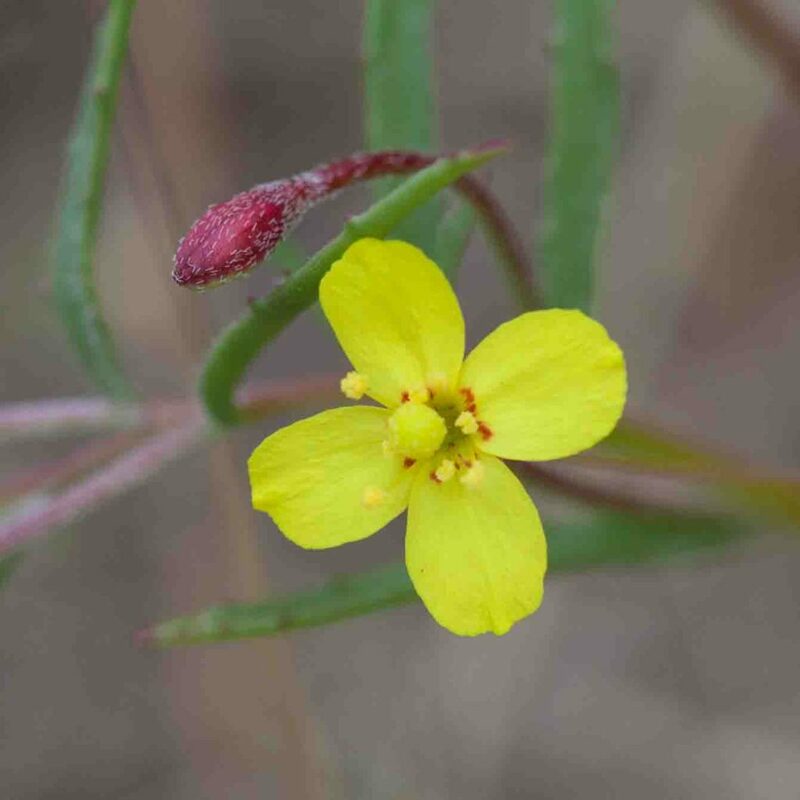 A low-growing plant, widespread in grassy areas in early spring; it has a dense basal rosette of oval to lanceolate leaves with prominent pale central veins and bright lemon-yellow flowers with 8 long stamens. 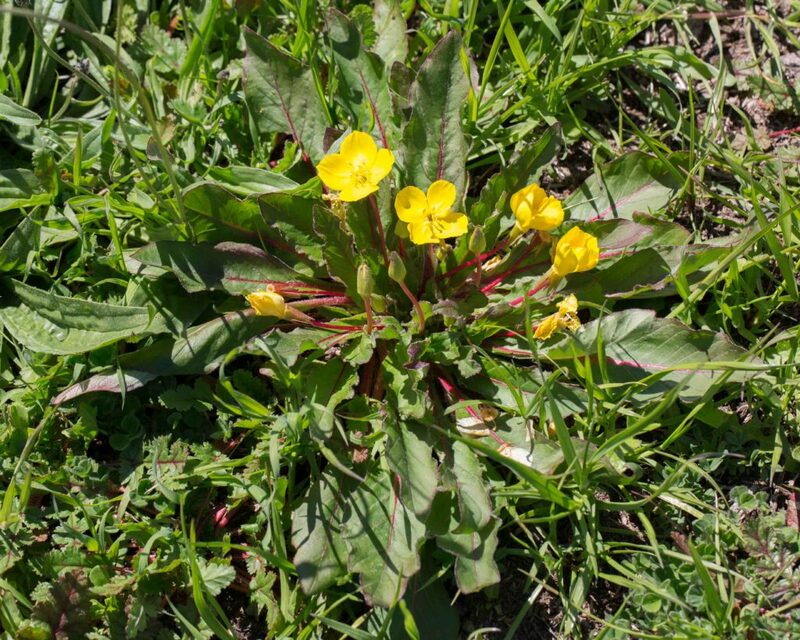 What appears to be a long pedicel is actually a sterile extension of the ovary, protecting the fertile ovary from the unwanted attentions of grazing animals. 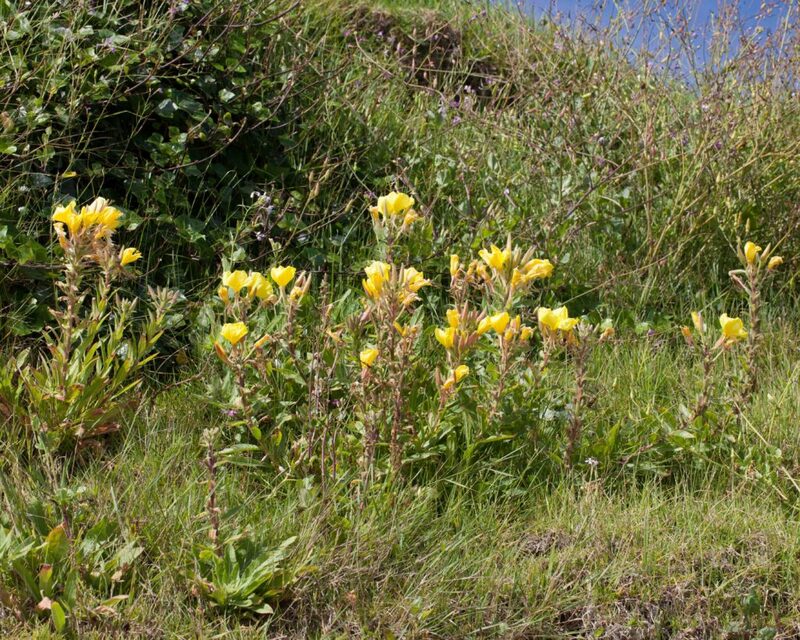 Open or shrubby slopes in grassland. 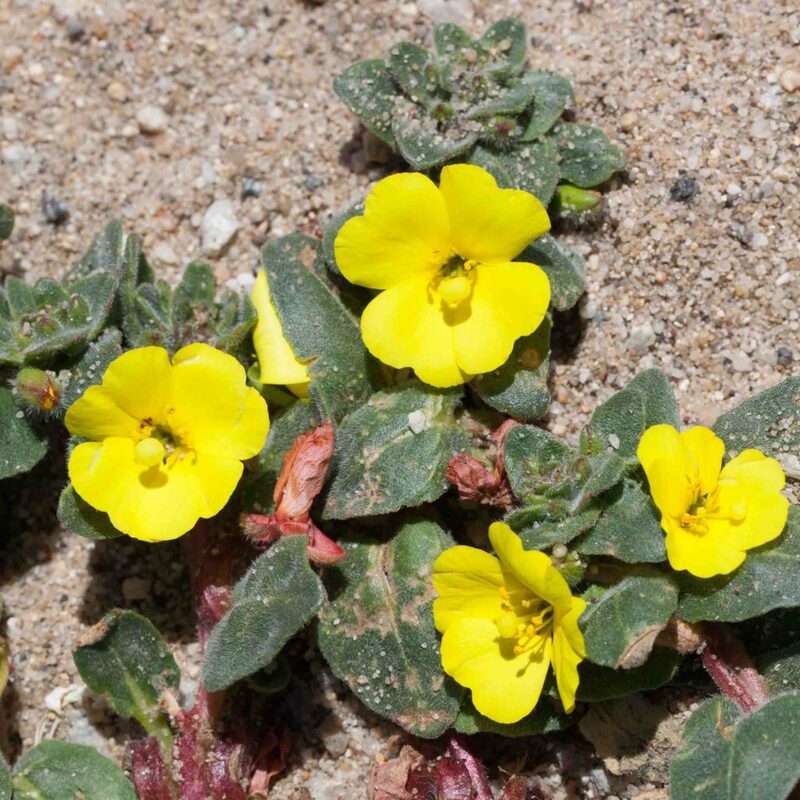 A low-growing plant, like Suncups (Taraxia ovata), and with similar flowers. 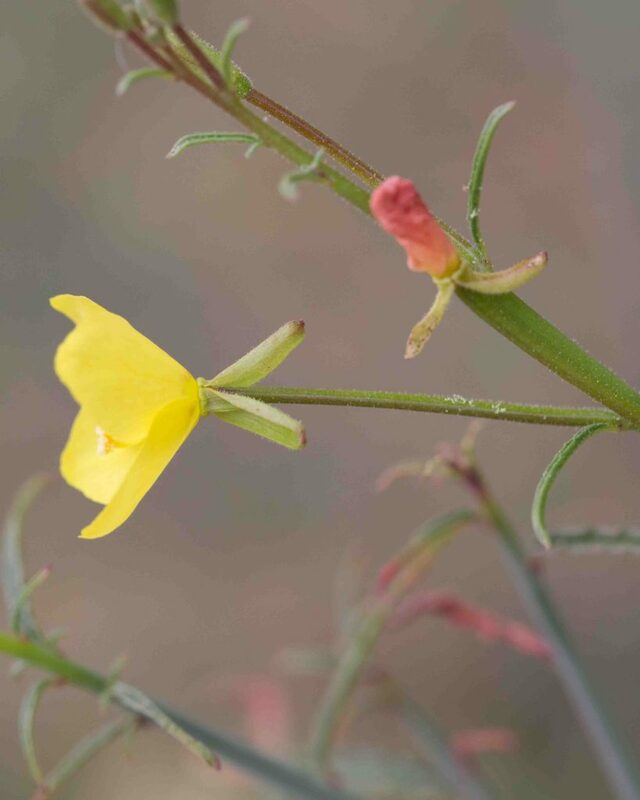 The stem is very short (< 25 mm) and the seeds are 4-winged (hence the plant’s scientific name). 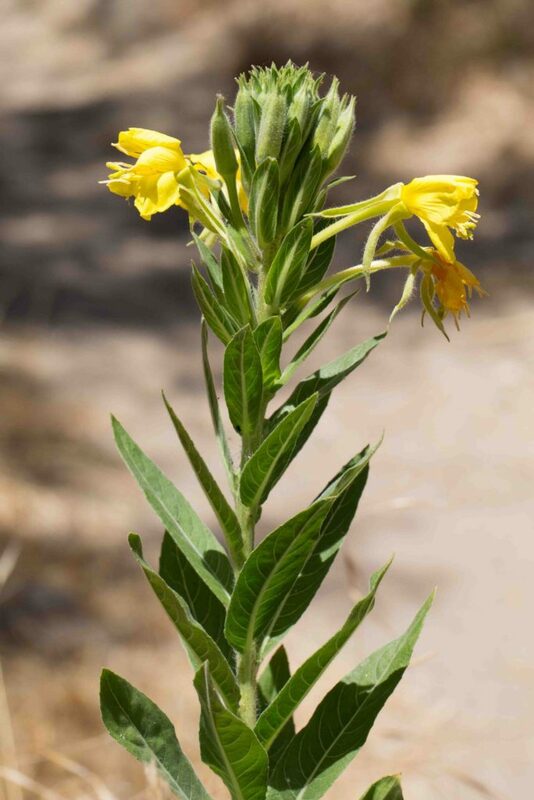 It is most easily recognized by its narrow, linear or oblanceolate leaves. 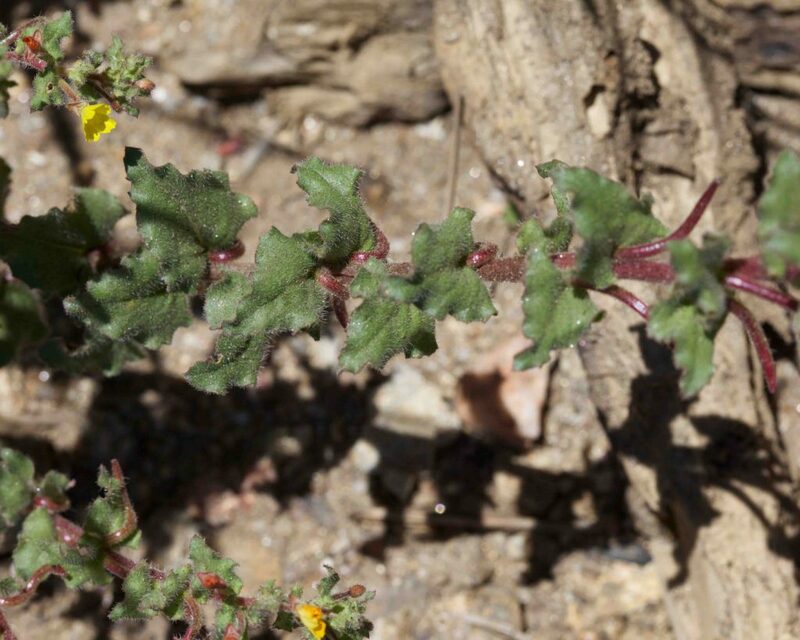 The plant is densely spreading-hairy. 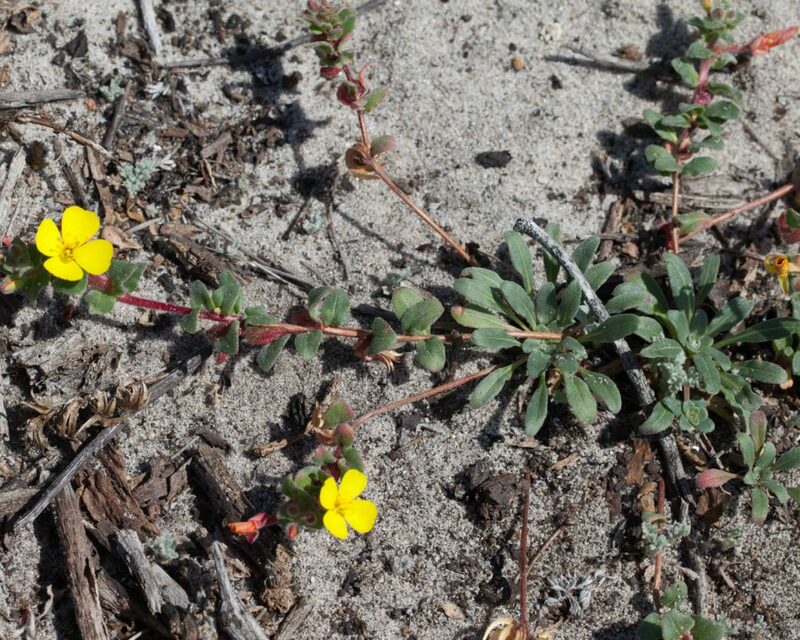 Most often found in the interior and south of the county though also found on Fort Ord.